I use the piano as a tool to express my feelings & emotions into a form of music that captivates audience & lead them through an adventure & experience. Thank you TropExoctic for making our Christmas Spirits Bright! You were professional and knowledgeable in all genres of music which made an enjoyable evening for all our guests. You did not skip a beat and played tirelessly throughout the evening! We would hire you again without hesitation! Happy New Year! I enjoyed performing for your event and am so glad you enjoyed it. Susanne was amazing! Great talent; very professional, on time and performed the perfect set of music for our event. Just sorry it was only for instrumental and not vocal also. Highly recommend her! Experience with GigSalad was great as well! Great music for a family dinner! We had a great experience with TropExotic Melodies. They were very professional and the music was great! Susanne was a great addition to our party. She played festive music that we all sang to, as well as familiar hits to get people dancing. Very sweet and extremely professional. Thank you Allison for letting me be part of your special event. Not only was I able to perform and have fun, you made me feel part of your family and friends. I know our friendship will continue for a long time. Suzanne was an amazing keyboard player. I'm glad I hired her. Susanne did a wonderful job and is very talented. I will definitely use her again. Thank you so much for letting me party of the corporate event. I look forward to working with you on future events. Thank you Suzanne for your contribution to our cocktail reception - it was appreciated! Since the moment we began discussing the event there was wonderful communication and transparency. Everyone at the party, from old to young, had a wonderful time and enjoyed the music! The entire band was profesional, friendly and great to have around. Would highly recommend. We are so glad that we were able to make your event memorable and thank you for your hospitality and wonderful food. You made us feel like we were part of your beautiful family! She is an Amazing person. She played piano beautifully. She was always in contact and when I sent her texts she promptly answered. She kept contact with me via phone and email. The guests at the wedding were very impressed with the gentleman that sang and played the guitar at our ceremony. I was happy with all. Only one negative was that they sang one song that I did not want. All in all I would highly recommend them. And yes I would hire them again. The professionalism is awesome. They really care for the client and that impressed me a lot. She was more than on time, and my guest loved her. Suzanne is an excellent pianist and a delightful person. 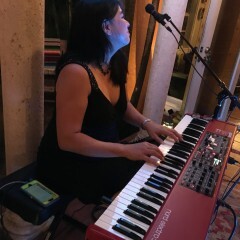 She played beautifully, accommodating my requests and making the evening pleasant for our guests. 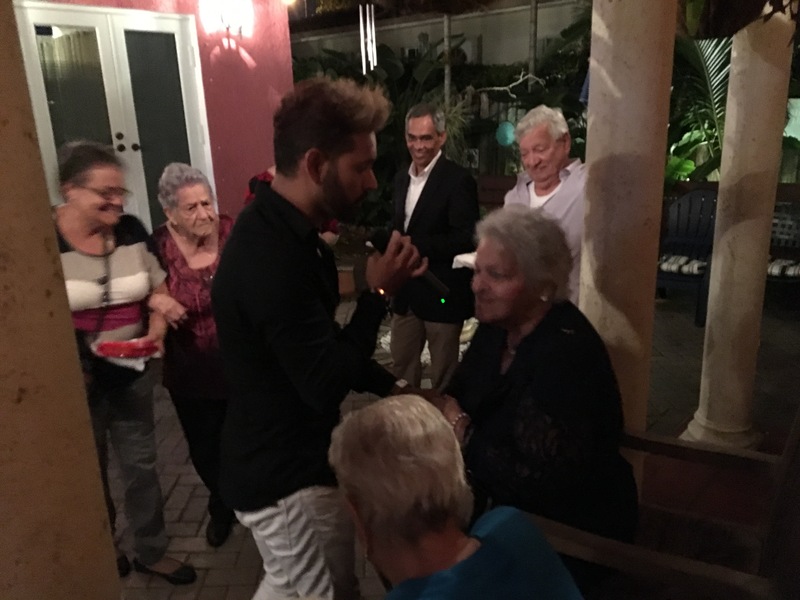 I had a wonderful time performing for your special day and hope to have an opportunity again to provide you music for your events in the future. Suzanne was very profesional and very helpful in helping us get exactly what we needed for our event. Her music was warm and Welcoming to the atmosphere. Will Hire again! It was great working with you on such a beautiful and unique event. Classical, jazz, pop, rock ‘n roll – she can do it all with an exceptionally charming attitude. She was classy, elegant, friendly, and fun! A great fit for our party. Would definitely book again. Plays the piano beautiful. Reasonable rates, shows up on time and knows how to make your event special and memorable. Will book next party we have or refer her to anyone looking for a pianist. music list and timeline schedule. If there is a special song request, I am capable of learning it as long as given proper notice. Will take special request from audience as most likely will know the song. 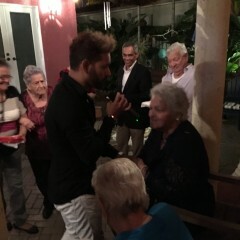 I have done performances where the audience end up requesting a song and they end up sing along. 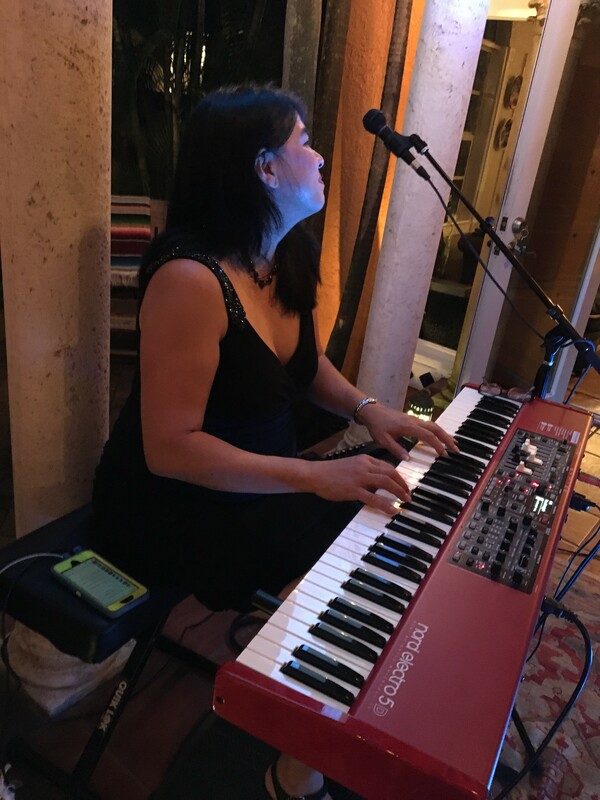 Professional high ranked pianist providing a wide variety of music styles to set the perfect mood and ambience for you special event. Music styles include: Jazz, pop, latin, classical, oldies, rock, R&B, top 40 and more. Providing live music entertainment. Venue locations include major Hotels such as Trump Towers, Diplomat Resort & Spa, Lowes Hotel Miami Beach, Edec Roc Hotel, PGA National Resort, Eden Rock, St. Regis, Ritz Carlton, Seafarer Luxury yacht, Country Clubs, Yacht clubs, Restaurants, Museum of Art in Ft. Lauderdale, Perez Art Museum and many more. Additional musicians available upon request. 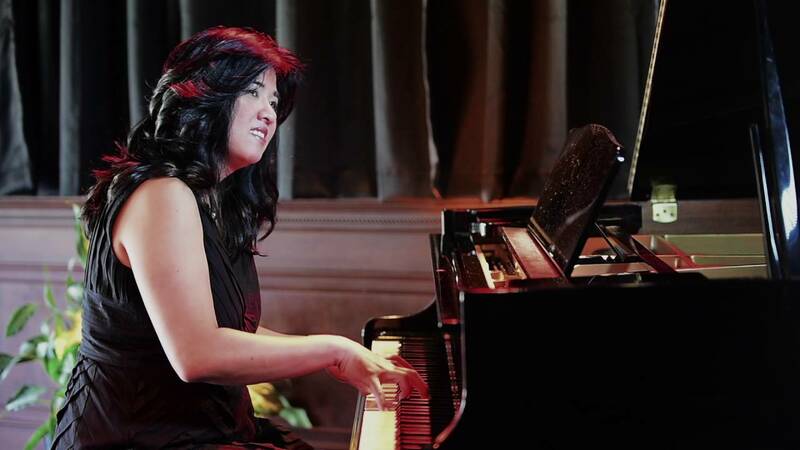 Classically trained since the age of 5 and has won several piano competitions. I have the gift of being to be able to "Play by Ear" and have "Perfect Pitch". What this means is that I am able to perform without manuscript and to basically replicate what I hear and play the exact key by just listening to it. This means that if you have a special request of a song that is not on my repertoire, must likely I can play it just by listening to it once or twice. 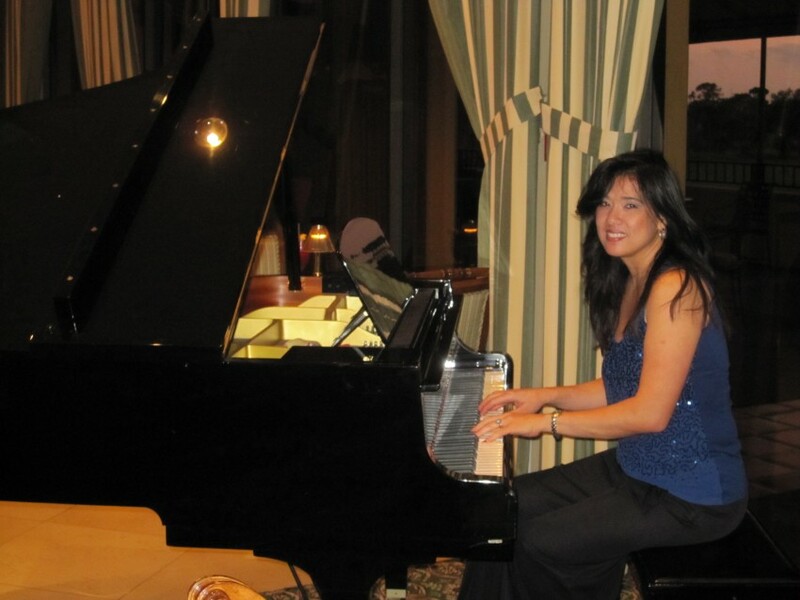 In addition, has served as a piano accompanist for the University of Miami Musical Theater Class. Was recently aired on TLC's "Four Weddings" performing for a Wedding Ceremony and Cocktail Hour in Hollywood, Florida. Client will notify musician if there is not a piano on site.